The pioneer rubber of the Soft generation. The rubber sheet is absolutely identical to the sheet of the normal Vario, but the sponge is softer. The results are a better control, somewhat less speed and identical spin characteristics. 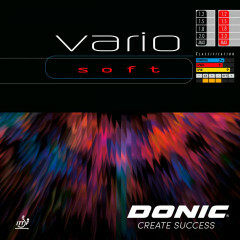 Donic Rubber Vario Soft is beeing added to cart.